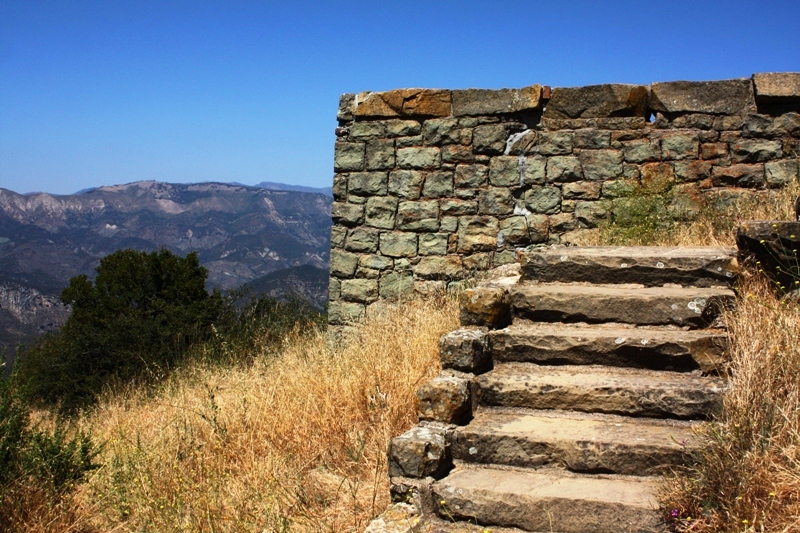 Perched on a promontory along a ridge on the north slope of the Santa Ynez Mountains, overlooking the Santa Ynez River Valley, the sandstone ruins known as Knapp’s Castle are the remnants of a remote mountain retreat built by George Owen Knapp. He purchased the property in 1916 and named it Laurel Springs Ranch. Four years later, construction of the mountain lodge at San Marcos was finally completed, but in 1940, the home burned to the ground in a wildfire. Knapp had sold it for $10,000 just five weeks before the conflagration. The hilltop residence included five bedrooms, a kitchen and dining room, a pipe organ room and an observatory for stargazing. An illuminated waterfall cascaded outside providing a touch of ambiance to a spectacular setting needing no adornment. Large stone arches today still frame the views enjoyed long ago in the main room of the home through huge picture windows. Aside the main lodge, and attached by an interior staircase, sat a studio. Below this there was a cottage for workers, a guesthouse, sleeping quarters for servants and a caretaker’s flat. Tucked away down in the brush-choked crease of nearby Lewis Canyon, somewhere purportedly near the waterfall there, Knapp built a bathhouse. It was accessed by a winding dirt road. 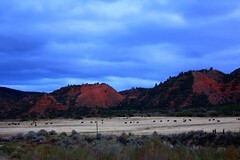 The remnants of the road can still be walked today for some distance, before it fades into the dense canyonside chaparral, and is finally lost to the mountain buried in nearly a hundred years of erosion and slough. 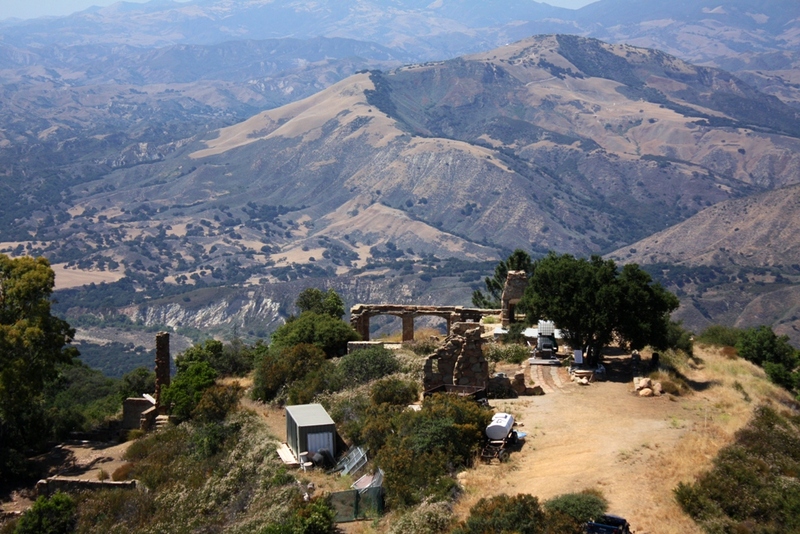 A view of Knapp's Castle ruins in the summer of 2011. The site sat empty for decades, but recently the current owner has moved a bunch of junk to it, seen in this photo, and begun a half-assed construction project of some sort. 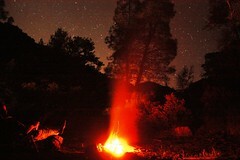 The property was accessed by a primitive dirt road perhaps not much better than a stagecoach trail in places, and done so in some of the first models of automobiles ever created. Historically, as today, San Marcos Pass and East Camino Cielo provided the roadways to the mountaintop home. San Marcos Pass was first graded in 1868 and finished two years later, before being rerouted and improved in the 1880s. East Camino Cielo, off of which Knapp built his long driveway, was first cleared around the time of WWI, but not paved until the 1930s. A view of the ruins in 2009 showing the arches that once framed huge picture windows. The view of the Santa Ynez River Valley from the ruins. 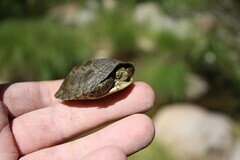 Cachuma Lake can be seen in the distance today, but was not around at the time of Knapp's mountain lodge. Born in 1855 in Massachusetts, Knapp was a businessman and civil engineer by trade. He helped found Union Carbide Corporation and served as company president for 22 years (or 25 years depending on the source consulted). His entrepreneurial success was reflected in numerous real estate holdings, which included no less than nine different homes in Santa Barbara County alone. These ranged from oceanfront parcels at Montecito and Carpinteria to mountaintop retreats atop the Santa Ynez Mountains above Santa Barbara. A panorama view overlooking Lewis Canyon to the east of the ruins and the Santa Ynez River Valley far below. Knapp served as president of Santa Barbara Cottage Hospital and donated $200,000 to create the Louise Savage School of Nursing. In addition, he gave $200,000 to fund the construction of the hospital’s four-story south wing. 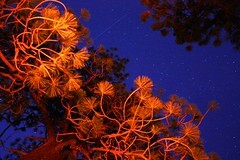 And he played a role in attracting Dr. William D. Sansum, of the Sansum Clinic, to Santa Barbara. He also contributed a total of at least $32,000 to several local churches for various purposes. 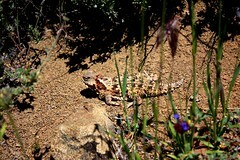 One of his other pursuits in Santa Barbara was the building of roads and trails into the inaccessible backcountry, as referenced in a Los Angeles Times piece from 1988. 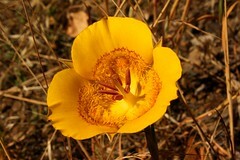 “While Knapp was developing his private retreat, he was also helping to boost public access to the Santa Barbara Forest Reserve, as it was known in those days. Knapp and a couple of his wealthy friends were tireless promoters of roads and trails, in order to make the back country accessible to all. Knapp’s enthusiasm and money helped extend trails west to the top of Refugio Canyon (now Ronald Reagan’s spread) and east to Ojai. George Owen Knapp was a man of action and accomplishment whose presence benefited the community. 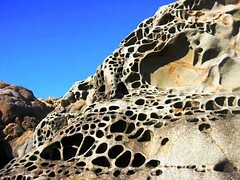 He left his mark on Santa Barbara in more ways than one, the least of which are the gritty sandstone ruins known as Knapp’s Castle, which have long been a popular hiking destination for outdoor enthusiasts. Historical Overview of the Los Padres National Forest, E.R. “Jim” Blakley and Karen Barnette, (1985), p. 62. 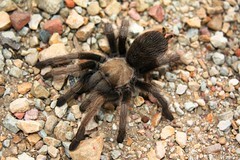 This entry was posted in Santa Barbara and tagged Knapp's Castle. Bookmark the permalink. Great article and great pictures. I found this very interesting. I remember going up the ruins many times as a teenager. They really don’t make them like that anymore (Knapp or his castle). 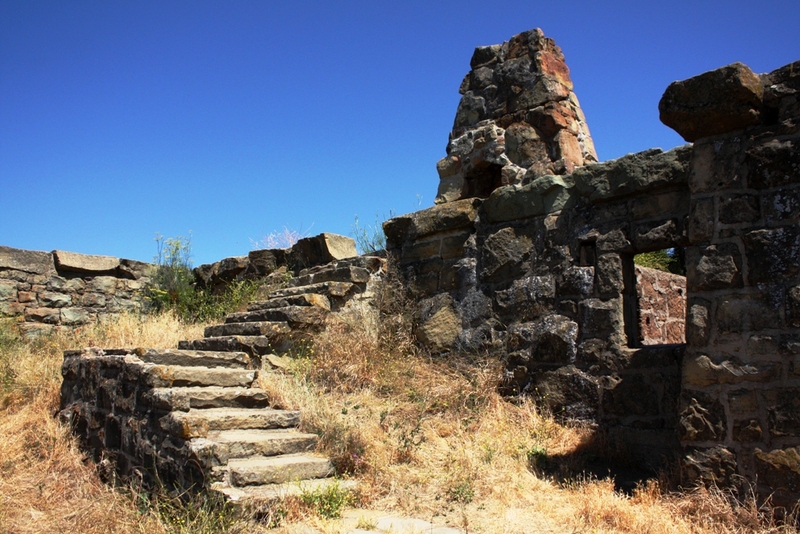 I have hiked around Knapp’s Castle many times, starting in1959, but still don’t know which fire brought it down (I fought the Coyote Fire of 1965, by accident as Barry Prekker and I were ‘stuck’ at Painted Cave and had to help out), as it was ruins in 1959. But, even though I thought I knew a lot about Santa Barbara, due to Walker Tompkins many books, I always wondered where the Knapp name was related to the School of Nursing. Thanks for the info. Thank you, friend, for your comments. Did (or does) Barry happen to have a son by the name of David? R Vanderhook, alumni of Knapp Colllege of Nursing 1961..
Great pictures. I started going up there in the 1970s. I had my birthdays there and kite flying groups there. I was great friends with Walker Tompkins . Hello Alice. Thanks for stopping by. I’m curious what it looked liked back in the 1970s. The wildfire that destroyed the castle was in July of 1940. At the time the home was owned by the famous German soprano Lotte Lehmann and her friend Frances Holden. They had owned the house only 46 days before it was destroyed. Steve, You could have just ask me. My aunt was Mr. Knapp’s dietician and he helped put my dad through medical school at McGill University. We gave Ben Taylor, Mr. Knapp’s great grandson, some of the pictures for his book. We still have my aunt, Mildred Temple Wright’s, fishing pole from fishing trips with Mr. Knapp. We have his marble bench from Arcady and his marble fountain. We have a lot of pictures including my Dad on a horse next to Mr.Knapp. I am not sure if the horse was Mr. Knapp’s or C.K. Billings (I also have a book of Mr. Billing’s horses and what they won). My aunt was given a Moody sister’s cottage on Rosemary Lane as were his other servants (There were six cottages and I knew all the people who lived in them). 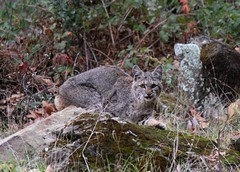 He gave both my aunts property off West Camino Cielo such as Punch Bowl and Indian Camp. We have roles of 16 mm film of Mr. Knapp’s trips. He was a wonderful, generous man. We have loads of pictures. 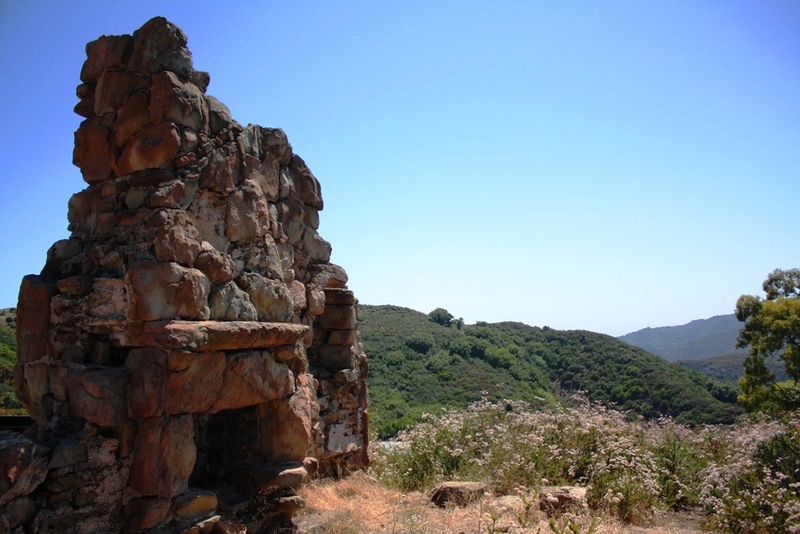 The property called Knapp’s Castle was sold to Lottie Lehmann and burned about 5 months after she bought it. I assumed Mr. Knapp was still alive but not sure. He died March 1945 with my aunt beside him at Cottage Hospital. I was born December of 1945. My aunt died in a house fire in 1959 on Rosemary Lane. We live in a house built by Russell Ray, Mr. Knapp’s architect who redid Arcady. Russell Ray also built Los Banos, YMCA, Presbyterian Church etc. 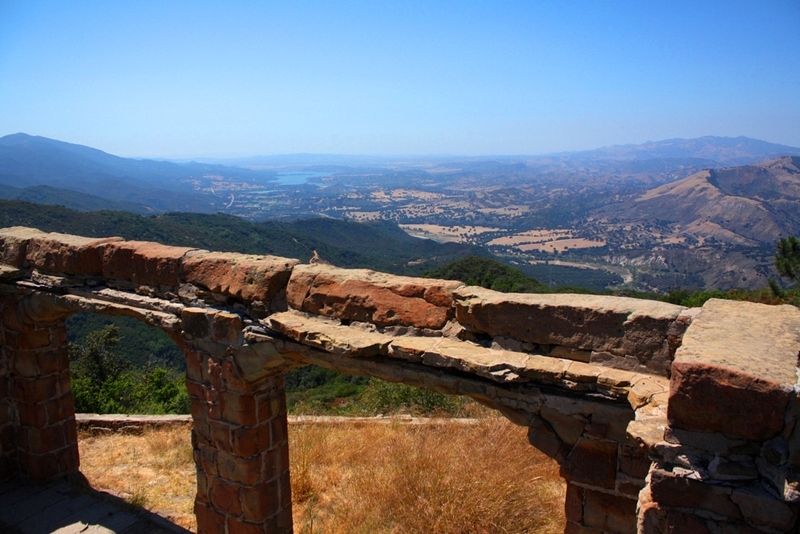 Does anyone remember Knapp’s Castle ruins being purchased by a young midwestern heir in the early 1970s?